NBC uses a multicolored peacock in its logo. 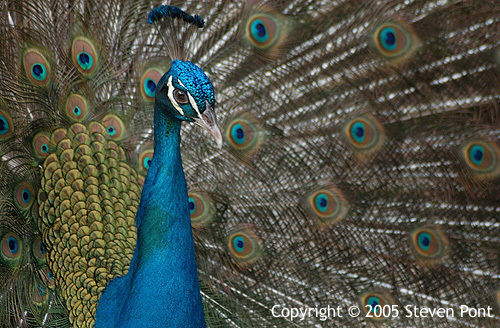 I also recall their "Proud as a Peacock" advertising campaign which I thought had been used for years and years, but according to Wikipedia, it was used only between 1979 and 1981. This was when they were trying to save face for being the worst network on Earth (well, at least the worst of the three at the time) and trying to make up for spending a ton of money broadcasting the 1980 Olympic Games which were boycotted by the United States. Ah, the history of pop culture.